AKON has developed a series of frontend LNA assemblies with some options frequently asked by customers. The units feature a built-in Band Pass filters and SPNT Switch. Input switch can be optionally selected from SP2T to SP4T. 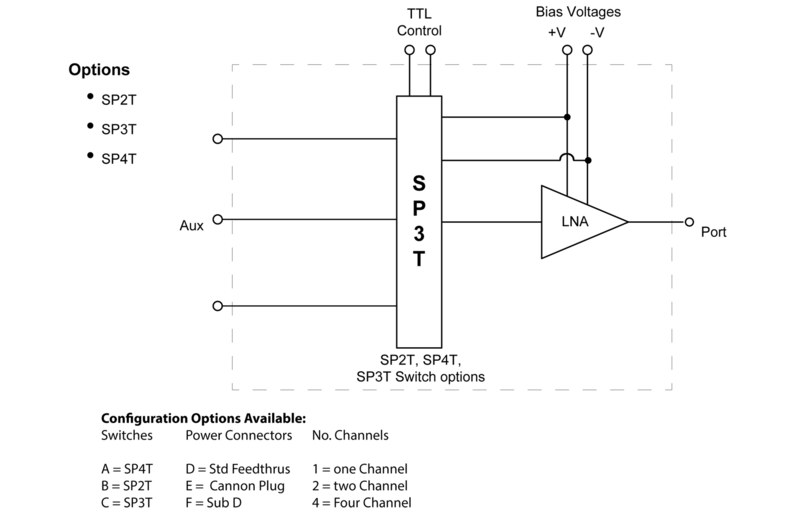 Built-in oscillators can be added for spot frequency calibration. We can package one to four channels in a single package. 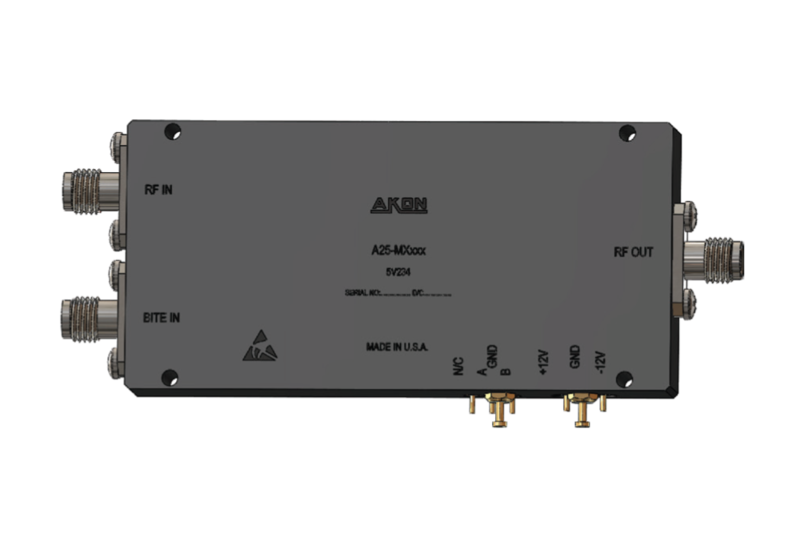 AKON products are designed to withstand the demanding environments of Military, Space and Civilian applications. Our compact and ruggedized products are designed to handle stringent mechanical shock/vibrations, temperature cycling, altitude and temperature extremes.